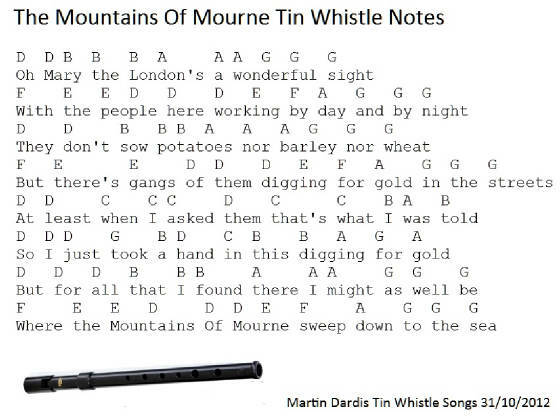 The Mountains Of Mourne tin whistle notes and sheet music, written by Pearcy French and recorded by Foster and Allen. The first image is a tone above the second and is the one that I'm using in the youtube video. These are the basic notes. There's also a banjo / mandolin tab included.